An Ontario couple in their 60s has a plan to take charge of their living situation as they age. They plan to find a large house to buy, convert it into six different units with shared spaces for other people their age, and run it as a co-operative. The idea to start a shared home just for seniors came about as Doug Tindal and his wife Mardi passed majestic old homes in Stratford, Ontario with another couple. "We'd be wandering around town and we'd say, 'Oh look, there's a nice old house. We could buy that and retire together,'" the 63-year-old explained to CBC Toronto. "It was a joke," he laughed. "And then we kept talking about it, it kept coming back." Unsatisfied with existing seniors housing options, the Tindals grew more serious about the idea. So when the couple and their friends went away for a weekend, they put their plans down on paper. Like many among Canada's aging population, the Tindals are currently healthy but know that will change in the coming decades. They want to create a supportive community now, before their situation takes a downturn. The Tindals and their friends want to find a large house to buy, convert it into six different units with shared spaces, and run it as a co-operative. Each couple or individual would have their own bedroom, bathroom and some living space. They'd share the kitchen, living room and laundry. Dinners would be eaten together, like a big family. "We like the sound of this, the crackle of community," said Mardi Tindal, 64. "We're vibrant, healthy people … we're not decrepit going into this, we're actually quite strong and resilient," she smiled, looking out through her red-framed glasses. "We thought that's the time to create a living community, so we're there for one another when things will get harder." The couple has created a Facebook page and already met with a few dozen people. They say five others are interested in going forward with the process. They also have a model to work from: their friends are involved in a similar house in Kamloops, B.C. But they say they won't rush in. "It's kind of like dating," laughed Doug Tindal — and not speed dating. The Tindals plan to meet every few weeks for dinner with their potential roommates to see if they'd be compatible enough to share a home. Mardi Tindal agrees with the courtship comparison. "We are going to be having multi-layered conversations about who we are, our deepest values, our hopes, as well as the kinds of decisions that will have to be made," she said. Penny Milton has met with the Tindals, and is considering the possibility of joining their co-op seniors home. She reluctantly admitted she's 72, joking that a group may not want her living in their home if they know she's in her 70s. Milton lives alone in a spacious home in Midtown Toronto. Her husband died less than a year ago. After her husband died, Milton took experts' advice and didn't make any major life decisions immediately. "But it's time to think about how do I want to live when I may not be as fully competent as I am now," she explained. Milton keeps busy in her retirement, painting, going to lectures, and meeting with a group for coffee every Saturday morning. Plus, her children and grandchildren live in the city. Still, she admitted "it's much easier to sit at home" as she gets older. She wants to make sure she maintains social connections and deep relationships. Shared housing for seniors could be an effective way to keep aging minds healthy. 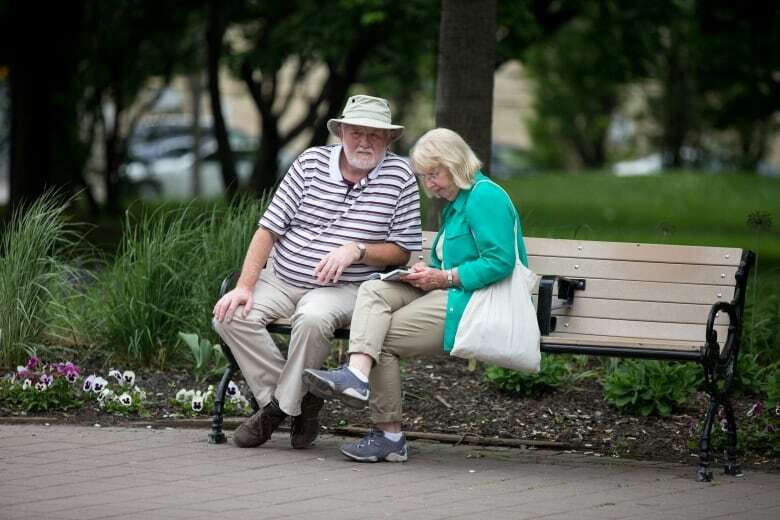 "I think it's a fantastic idea for maintaining social connectedness as we get older," said Nicole Anderson, a psychologist and researcher at Baycrest. ​A lack of social connection and support is linked to "a whole host of negative outcomes," explained Anderson, including depression, poor health, and a lower quality of life. Those who lack social connections are also at higher risk for dementia, says Anderson, as well as reduced cognitive ability. "Having somebody there in close proximity when you need some help or some support is fantastic," said Anderson. The Tindals still have plenty of time to build that support network. Their new house is still months away, at least, from becoming a reality, and they haven't started looking for a house to buy yet. They want everyone who will live there to be part of the process.